Welcome to the Fr. Griffin Council Knights of Columbus webpage. I hope that you find the information here helpful in understanding who we are, and our mission in our communities. Please take a look around. If you have any questions about what we do or how we may be able to help you or work with you to help our community, please click the "I want to join or get more information" button, below the pictures on the homepage. I hope that if you are a catholic man, 18 years or older, you would consider joining us at a program and consider joining the council. Each of us has an hour per year to give. Being a member of the Knights of Columbus gives you far more back than what you put in. The knights of columbus isn't just for retired men, looking for something to do. It's an entire community of men at 3 parishes working to better all of our parishes together. We have members aging from 19 to 90. Drop by for one of officers meeting or roundtable meetings. They last barely an hour and give you an opportunity to meet us and share your ideas. Our next Pancake breakfast to benefit our councils charities and the ACTs at Assumption will be April 28 from 7:30am to 12:00pm. All members are encouraged to visit kofc.org/trainingmicrosite for various Fraternal training. We will hold classes on each topic going forward. Look for the opportunities in the calendar starting in November. Grants are awarded in $500 and $1,000. Last Year OLP's PSR received a $750 grant which the council matched for a total of $1,500. Join us for the Fischer House Golf Tournament scheduled for May 11 2019 at Forest Park Golf Course. More information is available here. Come join us for our Annual Poker Tournament raising money for our various parish and youth programs. This year's tournament will be a Texas Holdem Tournament. Your $25 admission covers at least 2 hours of playing time, and the opportunity to win prizes for the top point winner, 2nd and 3rd place, plus consolation winner. Your admission also covers your drinks and snacks that evening. Registration starts at 6:30pm with games beginning at 7pm. Space is limited to 125 so reserve your spot by sending us a message on Facebook, or here. Door prizes, high hand contest, 50/50 and raffle prizes will all be available as well. The 1st Degree is an introduction to the Knights of Columbus, who we are and what we do. All prospective members must attend a 1st degree prior to joining the council. The council will hold a 1st degree every 4th Tuesday in the Mary room at Seven Holy Founders except the months of September and December. Starts at 7:00, candidates need to be there by 6:30pm. 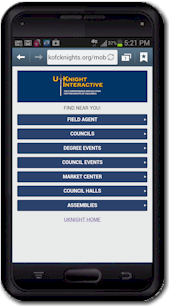 Prospective members are asked to use the "want to join our council or get more info" button and get in touch with a current knight before attending. All 3rd Degree members are invited to join the 4th Degree. Information on the 4th Degree can be found here. If you are interested in joining the 4th Degree, please see Gary Lottmann, Al Spies, or Ben Woodley for more information. All of our events through September are now available online. Sign up for those events you wish to attend or volunteer.